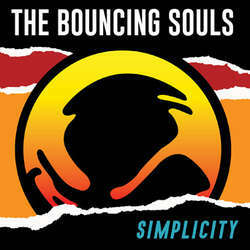 New Jersey basement punks The Bouncing Souls have been at it for nearly 30 years and for "Simplicity," headed back into the studio with John Seymour who produced "How I Spent My Summer Vacation" and "Anchors Aweigh." This LP is the band's strongest and most anthemic to date and with over 28 years behind these legends from the Garden State, there's a lot more still to come. Vinyl version includes digital download. Comes on half red half clear coloured vinyl! !